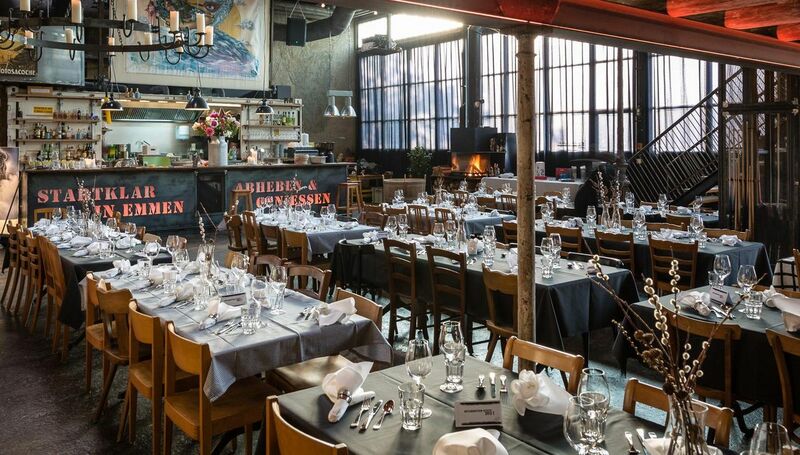 The Startklar events venue is a young and unique eventlocation operated by Sinnvoll Gastro. It is the perfect space for weddings, birthday parties, corporate events or christmas dinners and guarantees for an unfortgettable event. The location has been designed with a lot of attention to details in the industrial chic style and offers an exclusive atmosphere.